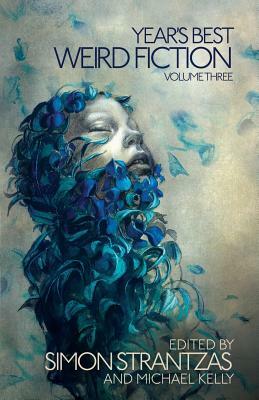 Showcasing the finest weird fiction from 2015, volume 3 of the Year's Best Weird Fiction is our biggest and most ambitious volume to date. Acclaimed editors Simon Strantzas and Michael Kelly bring their keen editorial sensibilities to the third volume of the Year's Best Weird Fiction. The best weird stories of 2015 features work from Robert Aickman, Matthew M. Bartlett, Sadie Bruce, Nadia Bulkin, Ramsey Campbell, Brian Conn, Brian Evenson, L.S. Johnson, Rebecca Kuder, Tim Lebbon, Reggie Oliver, Lynda E. Rucker, Robert Shearman, Christopher Slatsky, D.P. Watt, Michael Wehunt, Marian Womack, Genevieve Valentine. No longer the purview of esoteric readers, weird fiction is enjoying wide popularity. Chiefly derived from early 20th-century pulp fiction, its remit includes ghost stories, the strange and macabre, the supernatural, fantasy, myth, philosophical ontology, ambiguity, and a healthy helping of the outre. At its best, weird fiction is an intersecting of themes and ideas that explore and subvert the Laws of Nature. It is not confined to one genre, but is the most diverse and welcoming of all genres.